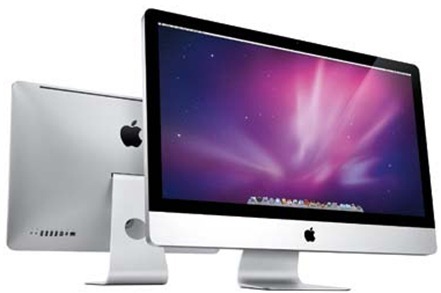 According to Fox, Apple is planning to release a refreshed batch of its iMac desktop computer in time for Christmas, and the news and entertainment giant’s Clayton Morris reckons the new iMacs could launch as soon as next week. He also speculates Apple could instead drop the new iMacs range at next month’s special event for the iPad Mini, but reckons they’ll be available in time for the all-important holiday season. Prior to this year’s WWDC, it was rumored Apple would be bringing a Mid-2012 iMac refresh, along with changes to the Mac Pro and MacBook ranges, although in the end, only the MacBook line-up found itself in receipt of a modest spec bump. Of course, the MacBook Pro with Retina Display did serve to appease many a Mac fan, but for those whom still prefer to sit at a desk when being productive, creative, or entertained, it looked as though Apple would be leaving the iMac range out until at least early 2013. With the iPad Mini, iPhone 5 and iOS 6 to prepare, it didn’t look as though Apple would be able to dedicate any more time to enhancing the beloved iMac, but it might just be that those waiting for an iMac update will indeed see one before 2012 is out. Having initially tweeted that the new iMacs would be arriving next week, he then retracted his statement somewhat, instead suggesting the tweet "should not have said next week." He then added, "it’s soon but I don’t have an exact date." In terms of specs, Morris’ predictions speak more natural progression than big surprises, and it looks as though the sit-down version of Apple’s mainstream Mac range will include similar improvements seen in the MacBook Pro and MacBook Air. 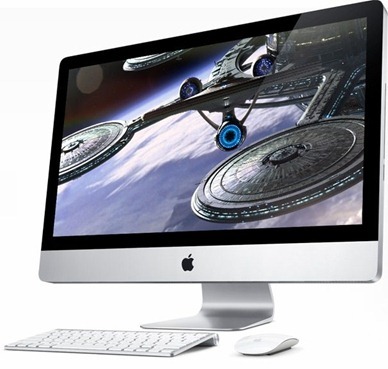 USB 3, new Ivy Bridge chips and options for SSD would seem a certainty – irrespective of when the new iMacs should appear – although Morris also believes the optical drive will be removed as part of a revamped design. While gradually removing the optical drive from the MacBook range would seem logical (thinner, lighter, easy to carry), removing the optical drive from the iMac would take things to the next level, and I’m not altogether sure whether the time is right to completely eradicate the optical drive from the iconic OS X desktop computer. Down the line, the optical drive will become obsolete, but weaning Mac users by first eradicating the optical drive from every MacBook sold would seem a more logical route for the Cupertino company to take, so whilst we could well see new iMacs in the near future, we don’t rate the chances of such drastic changes just yet.